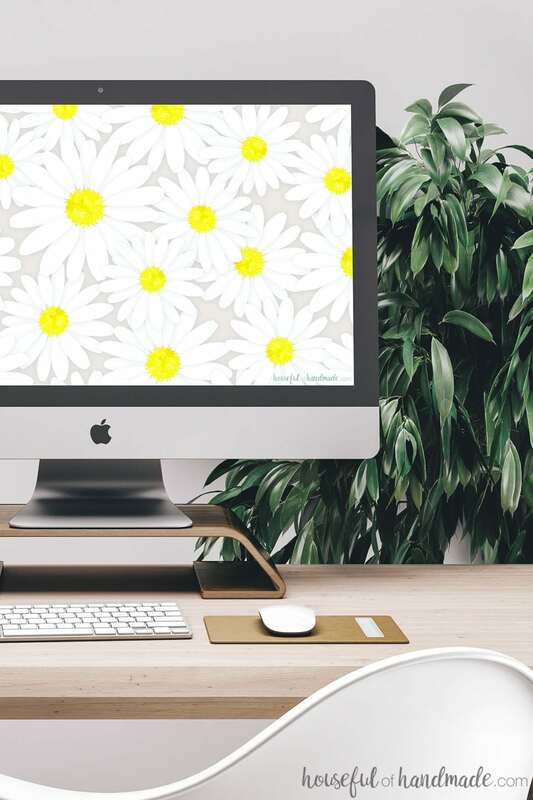 Add a little spring to your phone and computer with these free digital backgrounds for March. 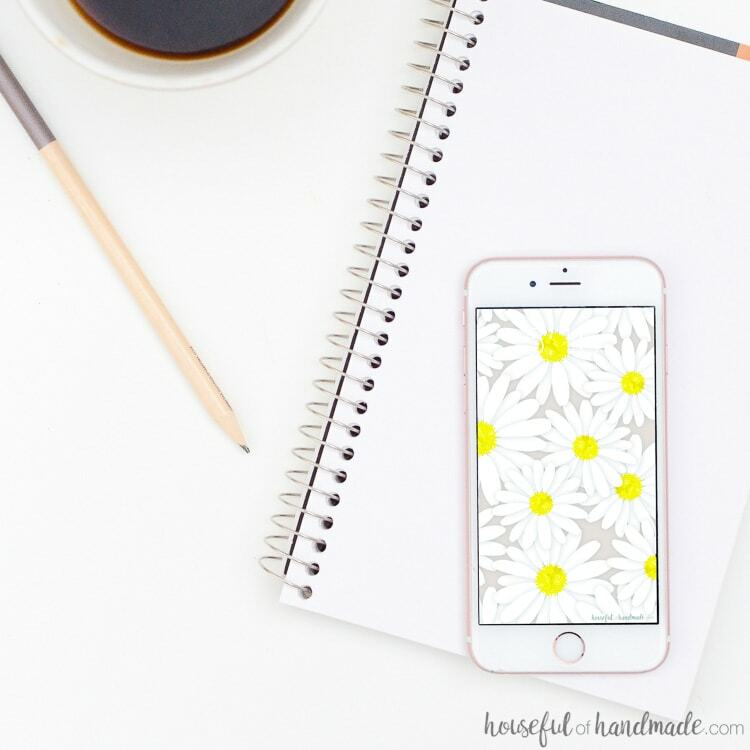 The beautiful daisy pattern covers your screens in bright flowers to help you get ready for the warmer weather ahead. Download digital wallpaper for your computer and smartphone today. Well, winter decided to finally hit us. We have been hammered with snow storm after snow storm after snow storm. Now we have about a foot of snow on our roof and spring is no where in site. But I am not going to let that effect me. I am still in total spring mode. 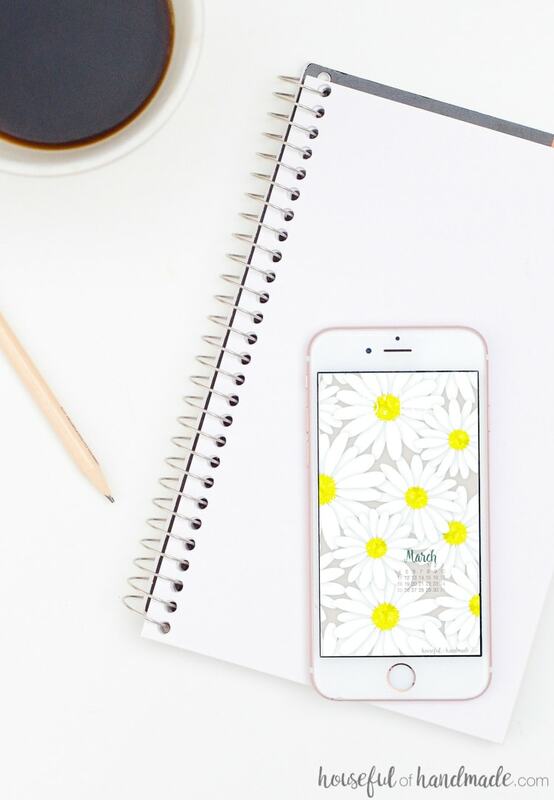 So when I started designing the new digital wallpapers for the month, I knew I needed flowers! They are my way of wishing away all the snow. But then something crazy happened. I started playing with some white daisies and just kept piling them on top of each other. This daisy print turned out something kinda like snow, don’t you think? Now this month’s digital backgrounds look a bit like my front yard, but less cold. And I think that makes me like them even more! 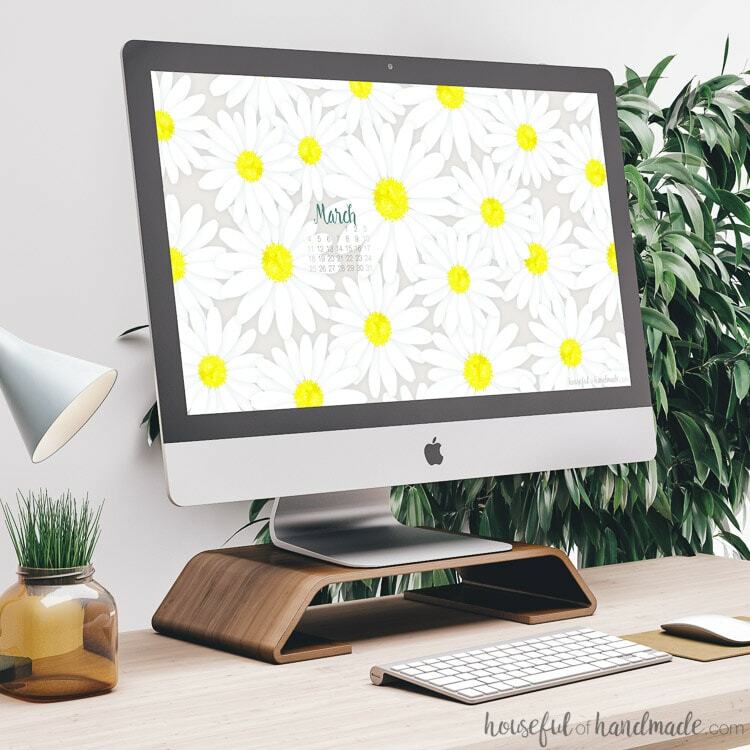 So whether you are enjoying some warm weather already, and maybe even a few sprouting flowers, or covered in snow like us, the free digital backgrounds for March are perfect! But I am not going to lie, I do hope that spring shows up soon because I am ready to enjoy the outdoors again. If you are ready to download the new digital backgrounds for March now, click on the link (or links) below for the backgrounds you want! And if you are also in total spring mode too, check out these other spring projects and ideas. Thank you so much Kati! Hope you are nice and relaxed from your vacation! These are so pretty! I was able to download the desktop background but the smartphone background says the site cannot be reached. The calendar one works but I would prefer the smartphone background with just the daisies. Thanks again for all you do! thank you for letting me know. I just got back from vacation and will take a look so you can download it!